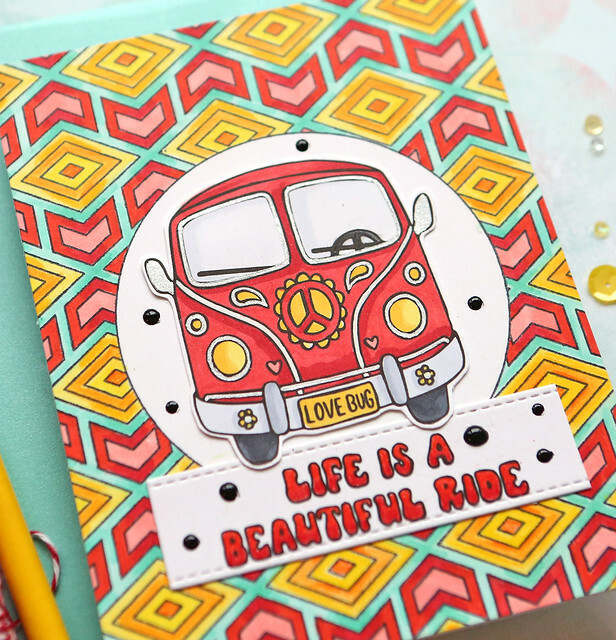 Today I have a "one stamp, five ways" post to share with you using this stamp set. But because it is one I designed, I went a little cray cray and made 7 cards to share. 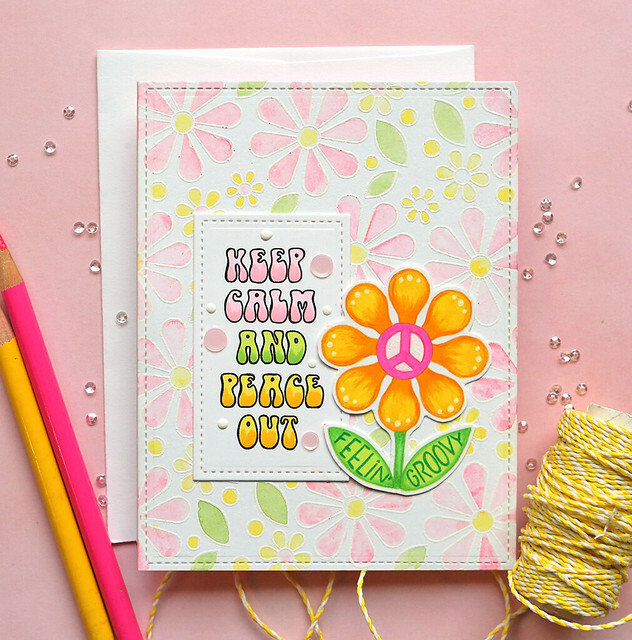 I also have two cards at the end of this post using some of the other products in this release - I posted them yesterday when the release went live. So here we go - another long one from me!!! 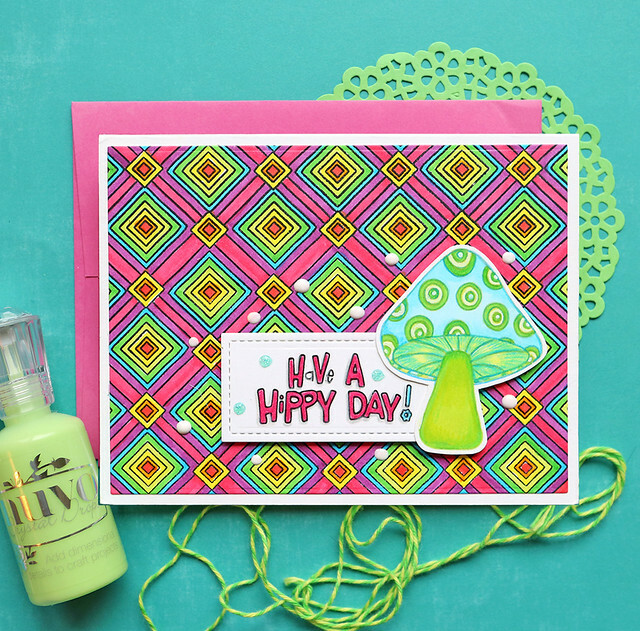 Use some glow in the dark Tonic Nuvo Drops around the images - they are bright and go great with this theme! 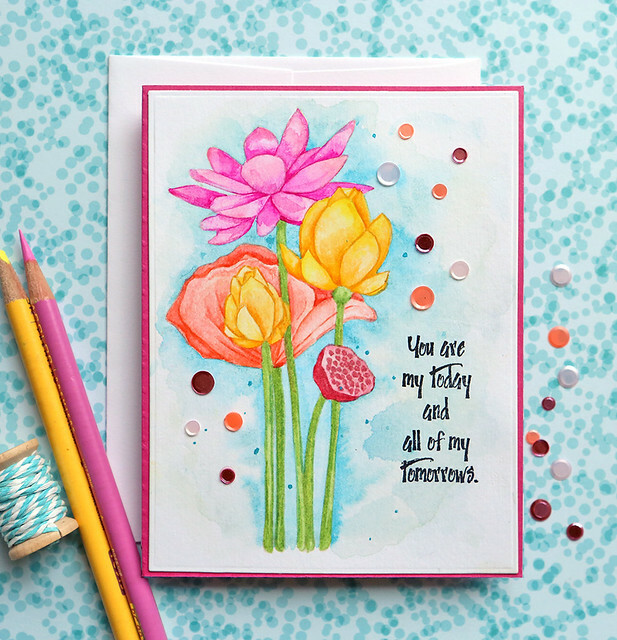 I used the Deco Diamonds background stamp for the background - here is a great tip - assign someone in your family to color it for you! 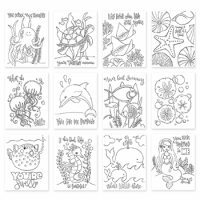 My step-daughter is visiting and she is coloring a bunch of my background stamps for me!!! 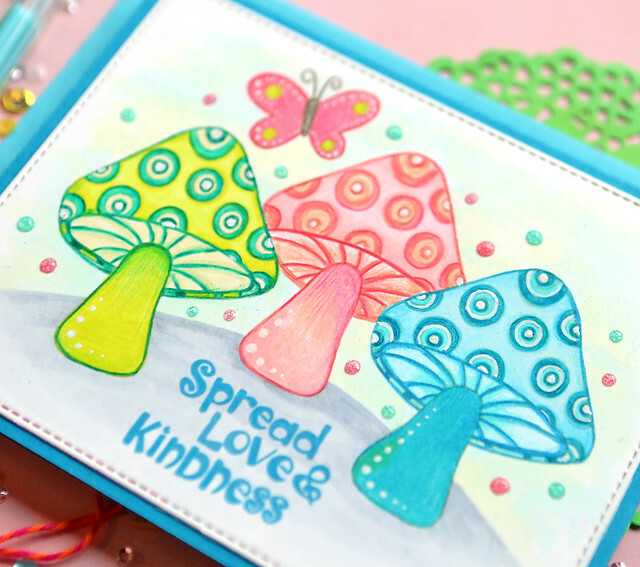 My step-daughter also wanted to color some of my new stamps, so here is her version of these images. She added a lot of drawn lines in the images and really went bright and crazy. I love them! 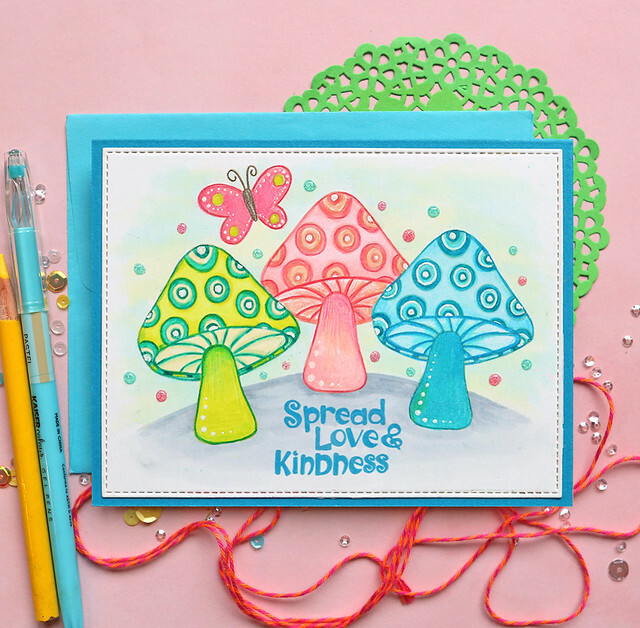 Don't forget to share your creations in the Friendly Frolic Gallery - go visit to see all of the blog hop projects in one spot! 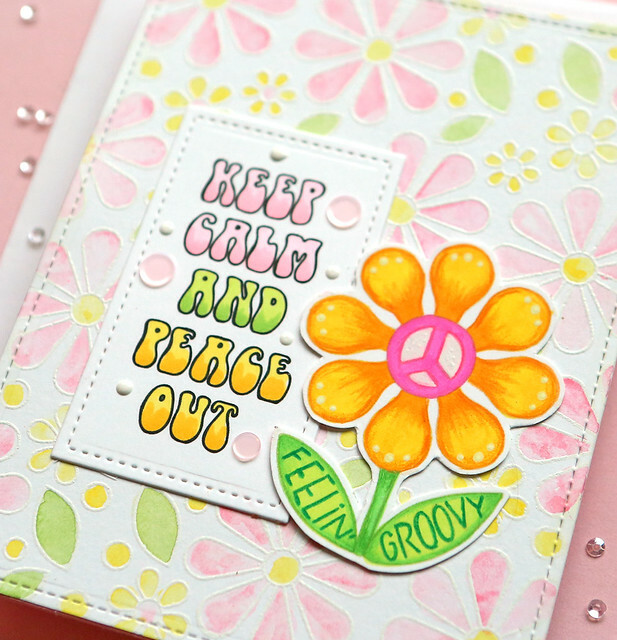 This is a 2 day blog hop, so don't forget to visit the SSS Blog tomorrow for another day of inspiration! 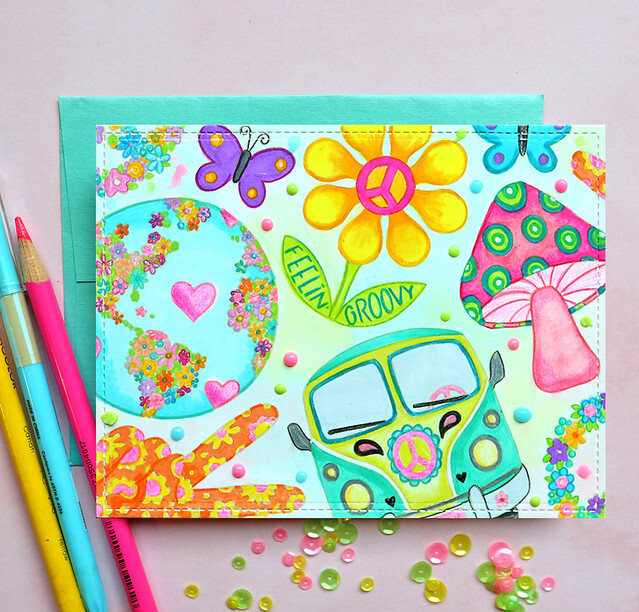 Ok Ok, I just submitted an order to Simon Says Stamp yesterday. I knew I should have waited. 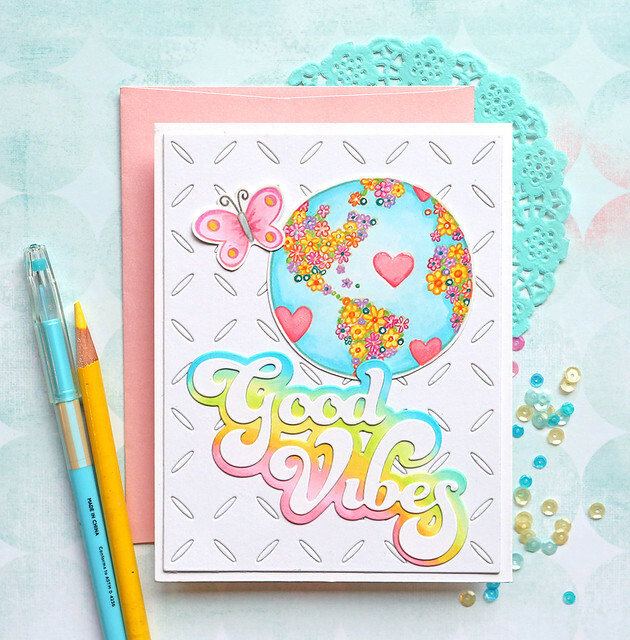 So... guess who is headed to their sight again to put the "More Good Vibes" stamp set on her wish list? ME! I love your cards. Thank you for sharing them. LOVE you stamp set. It will be a must have! 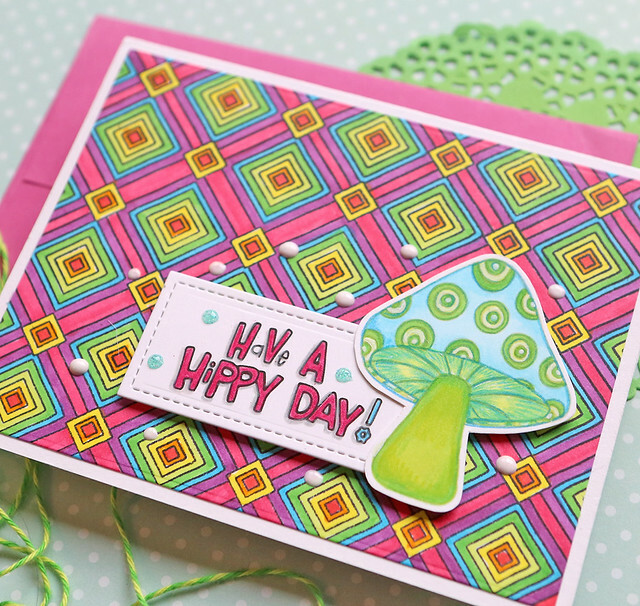 Wow I love your funky cards! 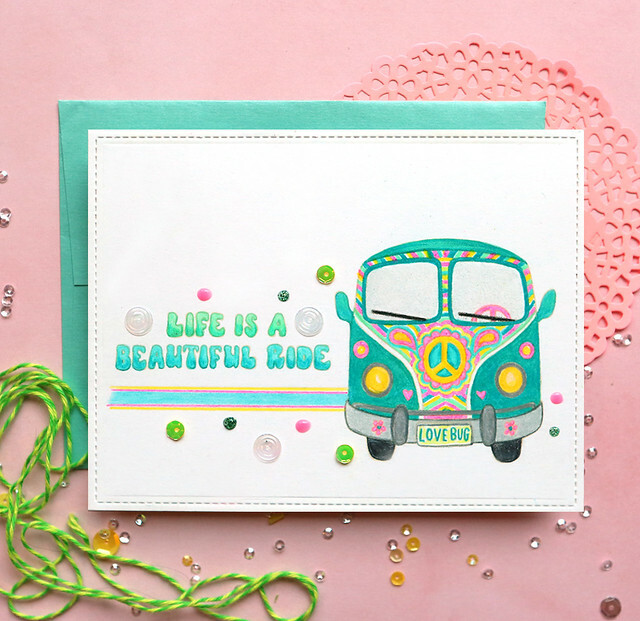 That VW bus is so fun! I always love your watercoloring. 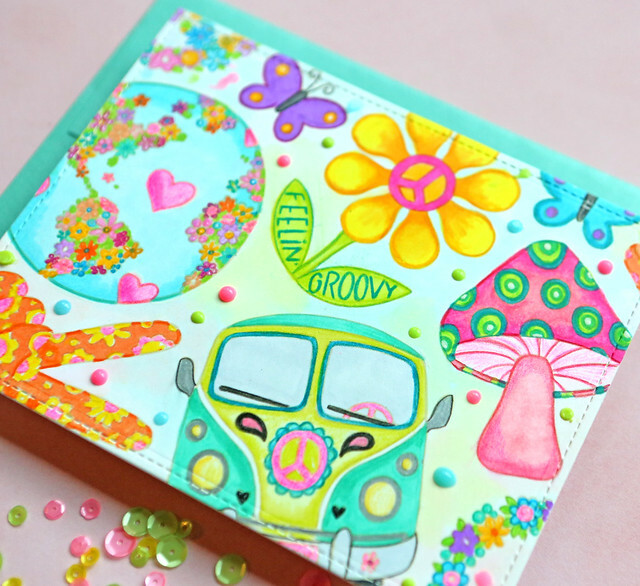 Love the cards, so fun and colorful! I love these! I'm so glad your images were made into stamps, I think they are awesome and love what you've done with them. Oh my, I just love your coloring! I'm still practicing my "eye for color" but I hope that someday I can achieve the beautiful and fun look that you do! Oh Suzy, these are ALL so awesome. 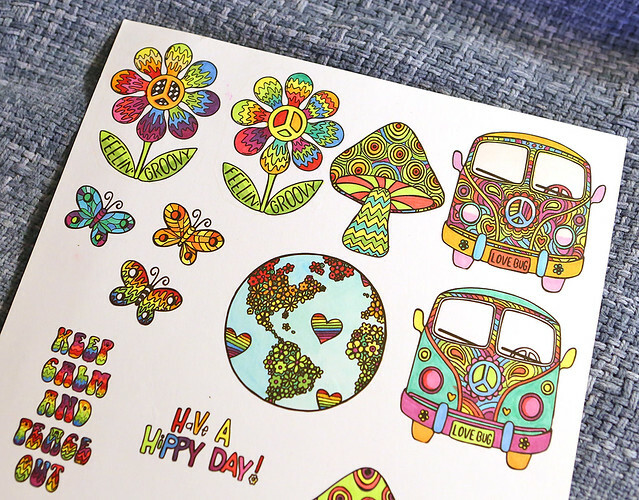 No wonder you went a little "cray cray", I would too if I had these stamps! I have to say, although I love them all there is something about card #5 that I just love! Clearly your step daughter is not a pre-schooler LOL....her colouring is awesome! Thanks for all of the tips and Congrats on the amazingly fun stamp set! Your cards are so bright and colorful! Each one gives me GOOD VIBES! I think that one is my favorite too! 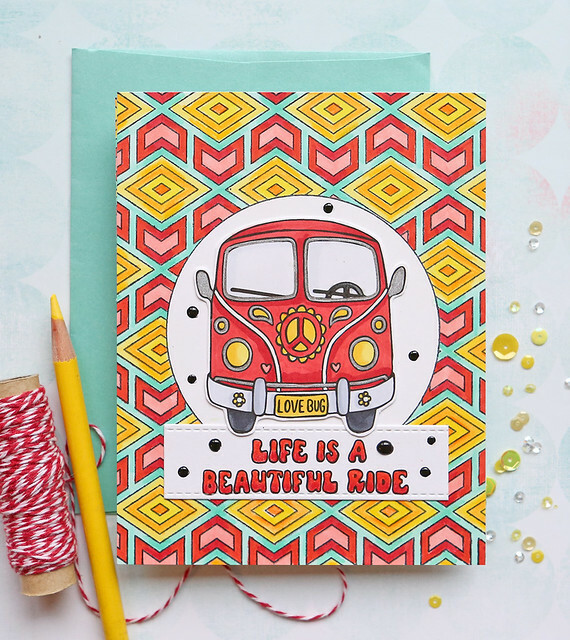 I love the way you capture all the fun and color, and I can see what a true labor of love all of your beautiful designs are! I see you like bright colors! Me too. Great samples! 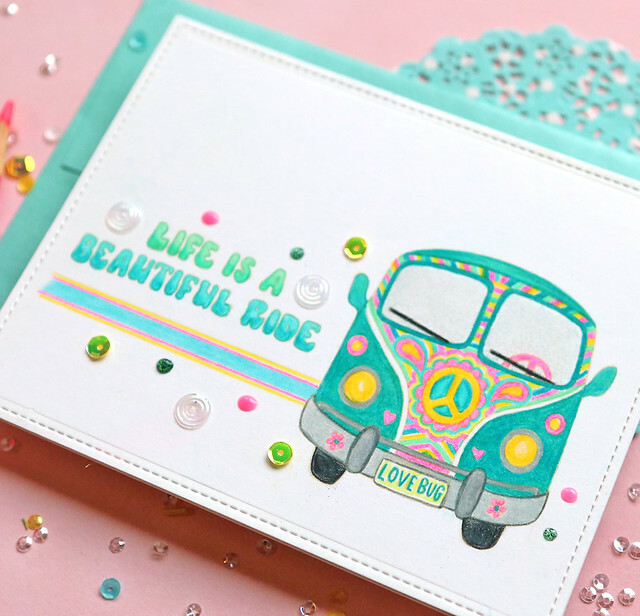 Your cards are so fun and beautiful! They remind me of my youth! Amazing cards. So happy and colorful. Your cards are a trip back in time for me. I love them and you did such an awesome job. That diamond background with all the different colors is stunning. I don't know which is my favorite because they all make me smile. Your coloring is so bright and happy. Way to go getting someone else to color your backgrounds. I'm not sure I could give that up to someone else but what have I got to lose? Great idea! TFS! WOW WOW WOW, I love your work. 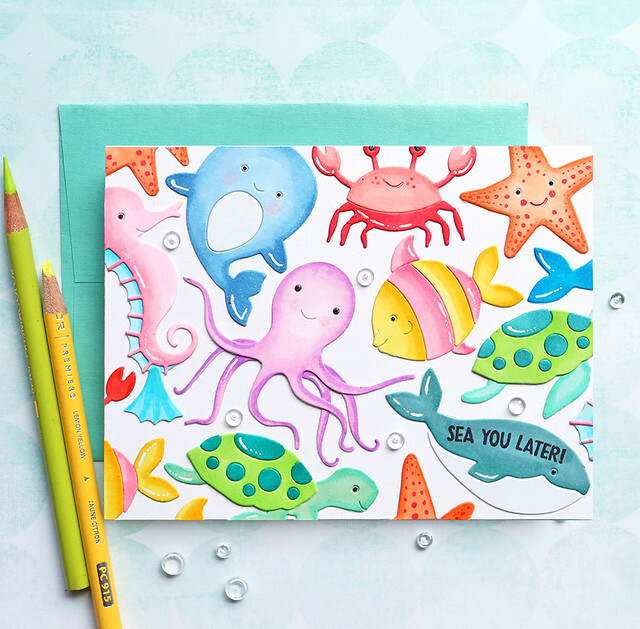 The shading on the sea creatures looks wonderful, and the flowers!! Your watercoloring is great. I like the variations of colors. Love all the examples with those bright colors. So groovy. Amazing set of cards! 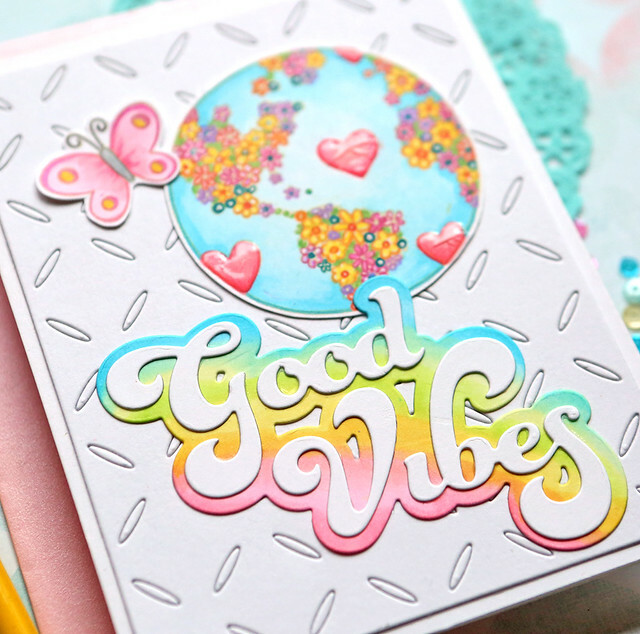 So bright and cheerful!